Solar panels use solar energy; this provides renewable energy produced from the sun. The rays of the sun can be utilised in different ways such as cooking food, production of water,to enhance agricultural areas and can be converted into electricity. The conversion of light to electricity by using photoelectric effects requires a device such as photovoltaic cell or solar cell. Solar panels are used in pumping water and for refrigeration; they can also be used for daily basic usage such as for T.V, radio, lighting lamps or small fans which can be operated by solar home systems or by photovoltaic solar panels. Using a photovoltaic system helps the commercial and residential sector to generate an electrical power supply. Environment-friendly: The usage of solar panels doesn’t harm the environment by producing harmful and effective gases. Dependable: The renewable resources, for instance solar panels, require minimal maintenance and produce lots of energy to create a self-sufficient environment, unlike oil it will not run out. Cost-effective: Initially to set up with these devices a huge investment is required in purchasing the tools and in setting up the device; but in the long run it earns back the money invested as you no longer need to pay high energy bills. Versatility: Depending on its cost and how effectively it suits your environment and personal needs you can opt for different types of solar panels. As per the latest discoveries; there are several kits available to fulfil the requirements and necessities. Rural Development: These panels will reduce a great financial burden on the shoulders of farmers and can help to fertilize or cultivate their agriculture lands; it can also help with the draining of water. It reduces the need for electrical lines being put in and high electricity costs as the open land allows for the maximum amount of sunlight to reach the panels. Low Maintenance: The system is accommodated with minimal maintenance costs. But the installation and set-up process requires a huge amount of capital to be invested. To ensure your future profits you can make use of short term loans or pay day loans. 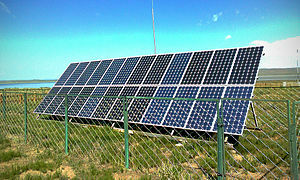 Protection of Environment: This can be done by reducing the carbon dioxide emissions through these solar power panels. Tax incentives: As the installation of such power panels requires minimum deposit and are expensive. In order to reduce the cost of installing; tax incentives are made available by both state and federal bodies. Different schemes and programmes have been introduced by the U.S Department of Energy and Internal Revenue System to provide a tax credit of 30% and rebate ranging from 50% to 70% on the system’s cost. Financial Benefits: Solar panels provide additional financial benefits in increasing the property value as well as reducing your energy bills. A significant amount of money can be returned upon your investment of this new technology. This is so important to our future.